What Is A Safe Room Door And Why Do We Need It? Nowadays, we can never guarantee our safety even in our own home, much more in a commercial establishment wherein there are a lot of valuables not just in cash but as well as in form of gadgets, machinery, documents, etc. In this article, let’s talk about what is a safe room door, why you have to have one and what you need to know about it. A safe room is a place where you can find refuge in an event of an invasion or natural disasters such as hurricane or tornado. It is made of reinforced concrete walls and foundations that are, as much as possible, cannot be penetrated by invaders. No windows but good ventilation is a must. If your safe room is also meant as a storm room, then it must be able to withstand wind coming at 250mph. Ideally, it is located in an area that will be easily accessible to you and the place should have good reception so that you can call out for help. 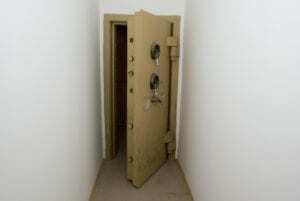 That being said, basic necessities, as well as a charged cellphone, should always be available in a safe room. What is a Safe Room Door? As mentioned above, your safe room needs to be constructed of reinforced concrete to make it almost impossible to break into. This being said, the door would be the weakest link to your safe room if you do not choose wisely. If your door isn’t as strong as your walls then it defeats the purpose. The strongest door by Spartan Door so far is our Bulwark 10000. This is quite ideal for a safe room door especially once accompanied by a reinforced door frame. After all, your door is only as good as the frame holding it. If you want to know more about our strong room doors, get in touch with us. You can chat live with our courteous customer support team or you can email us.